Public Mobile tried to increase the price of their coveted $40/4GB plan ($120/12GB over 90 days) by $10 per month, but their customers wouldn’t have it and vented their opposition, leading to parent company Telus reversing the controversial change. 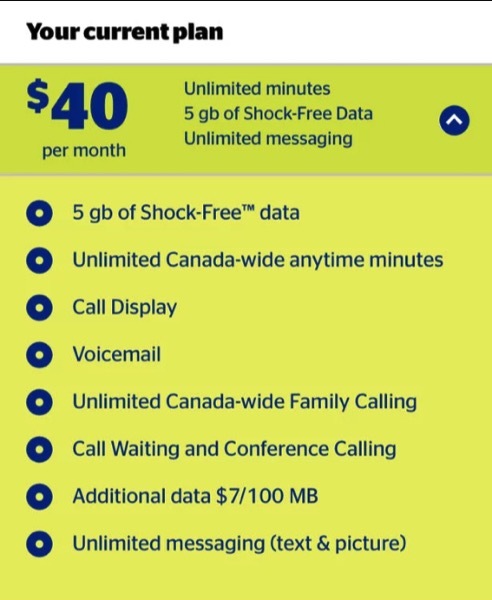 Part of the price increase also included a promo where users could switch over to Koodo and get a $40/4GB plan, but with unlimited Canada-wide minutes, plus a $100 bill credit. Now, it appears Public Mobile has sweetened the deal, making the Koodo offer now $40/5GB, throwing in an extra gigabyte of data. If you’re on the Public Mobile $40/4GB plan, you can switch to this Koodo promo by using the in-store code GOKOODO405GBBPO. According to RFD, this Koodo plan is eligible for Medium Tab and expires on April 1st (whereas the previous promo was March 15th). Also, users can sign up via a referral (find somebody you know on Koodo) and also earn an additional $50 credit. Again, if you’re skeptical of what will happen with Public Mobile’s $40/4GB plan in the future, this $40/5GB plan with unlimited nationwide calling is not bad if you’re able to use less than 5GB per month and not incur expensive overages of $70/1GB. Let us know if you’re going to make the switch.